Ducks for Duckland The introduction to this article can be seen HERE but this is the result of a very successful visit to Silver Hill Farm a few weeks ago. 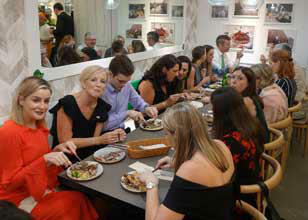 Duckland Restaurant a Singapore Showcase for Silver Hill Irish Duck Customers are flocking to the new Duckland chain of restaurants in Singapore, attracted by the mouth-watering prospect of savouring Silver Hill Farm’s award winning succulent Irish duck. The Duckland chain in Singapore was officially launched by Minister Heather Humphreys during the St Patrick’s Trade Mission to Singapore/Australia/New Zealand. 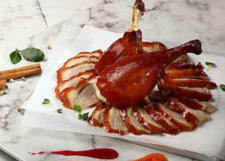 The Irish Duck themed restaurant is the brainchild of Andrew Tjioe, President of the successful Tung Lok Group who have an extensive range of restaurants across Singapore, Indonesia, Japan, China and Vietnam. The signature Silver Hill Duck has been described as the ‘Wagyu’ of duck and the demand for the ‘Mother of All Ducks’ is unprecedented in the region, mirroring the raging demand among chefs in the UK. And such is the success story of Silver Hill Duck that it is leading the migration of other Irish food brands to new South Asian markets as restauranteurs there realise the quality of Irish produce, with food and drink exports from Ireland sold alongside the Silver Hill Duck including Rosderra, Ribworld and Diageo with more set to follow. 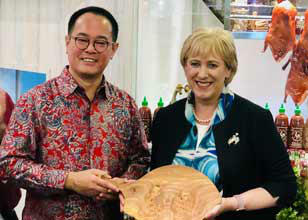 Minister Heather Humphreys was joined at the unique St Patrick’s Day celebration by Andrew Tjioe, who visited Silver Hill Farm’s Monaghan HQ last November. Also attending the Duckland restaurant chain launch was CEO of Silver Hill Farm Micheál Briody, Irish Ambassador to Singapore Pat Bourne and Ciaran Gallagher, Bord Bia Manager for South East Asia. Micheál Briody said: “The opening of Duckland is a significant milestone for Silver Hill Farm and indeed other Irish food exporters. Four years ago in conversation Andrew first floated his idea of a duck themed chain of restaurants and now it is a reality. Silver Hill are delighted to be centre stage in Duckland. It provides a superb springboard for other Irish brands and we wholeheartedly congratulate Andre Tjioe and also thank Minister Humphreys for her support.” The unique Duckland chain serve a range of Asian and Western-style duck dishes and pride of place is a signature dish of Roast Irish Duck with other customer favourites including Duck Confit and Waffle, Duck Pies and Duck Fried Rice, Spaghetti Duck Bolognese all in demand. Another 2 Irish-themed Duckland Restaurants are opening in Singapore in the near future, dedicated to Irish produce and further strengthening ties between Ireland and Singapore. Silver Hill Farm are facilitating this enterprise with Andrew Tjioe and his team. Left To Right – (Micheál Briody, CEO, Silver Hill Farm) (Andrew Tjioe, Founder, Duckland) (Minister Heather Humphreys, Minister for Business, Enterprise, and Innovation) (Ciaran Gallagher, Bord Bia Manager for South East Asia) and (Irish Ambassador to Singapore Pat Bourne) holding the famous Silver Hill Duck at the launch of the Duckland Restaurant in Singapore. 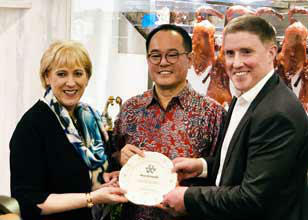 Minister Heather Humphreys (left) and Micheál Briody, CEO, Silver Hill Farm (right) presenting Duckland Founder Andrew Tjioe (Centre) with a beautiful Belleek Plate to thank him for his commitment to sourcing quality Irish Food produce.